I’M spending the night in a tree house. 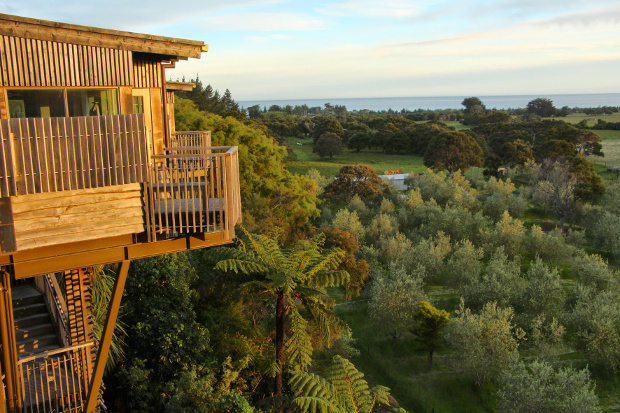 I grant you it’s not technically a treehouse balanced in the branches of a forest giant, but this suite is perched high above a rough copse of tall New Zealand fauna on a bucolic block between the snow-capped peaks of the Kaikoura Range and the Pacific Ocean on the South Island. And it’s so much more than the simple backyard platform I played on as a kid, that was nothing but bare pine boards and discarded milk crates for furniture, with this sophisticated structure a light-filled guestroom at one of New Zealand’s iconic luxury lodges. This is one of five tree-house suites at Hapuku Lodge – the sanctuary built by Tony Wilson and managed by New Zealand Master Chef contestant Fiona Read and her partner Chris Sturgeon. It features a sitting room with slow-combustion fire, comfy armchairs to linger in while enjoying the elevated outlook, and an inviting king-size bed. The lofty apartment also boasts an open-plan bathroom positioned to take in the sweeping view, with floor-to-ceiling windows in the shower and a glass wall surrounding the spa. There’s also a west-facing veranda to occupy at the end of the day when the sky turns a fiery red as the sun disappears behind the mountains. The suite is warm and serene, a dwelling I want to savour rather than abandon for a hectic day sightseeing, with Hapuku Lodge providing that extraordinary atmosphere that only comes in a boutique hotel where every aspect of my stay is carefully considered. Where the staff remembers my name and even the table I prefer in the dining room. 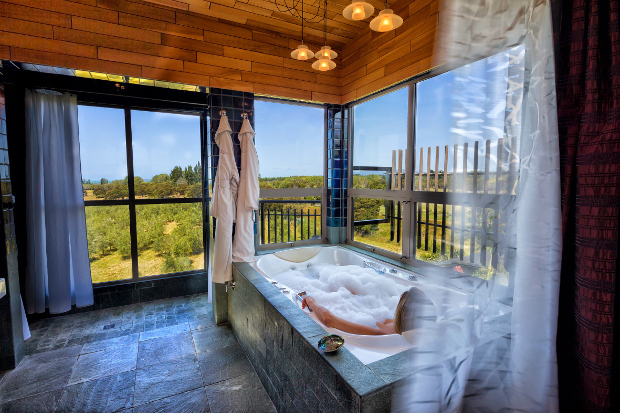 In addition to the five tree-house suites, two of which are two-storey dwellings to suit a family, there are three guestrooms in the lodge and a country cottage called The Olive House. Hapuku Lodge, which is 12 kilometres from Kaikoura – where whales and dolphins dwell in the deep ocean trench flanking the coast – is one of 31 properties in the Luxury Lodges of New Zealand collection with inland and coastal retreats dotted across the North and South islands. And, just like the other estates in the Luxury Lodges’ inventory, Hapuku Lodge combines elegant accommodation with an indulgent culinary experience as the team of chefs managed by Fiona Read prepare thoughtful meals using the region’s best produce. 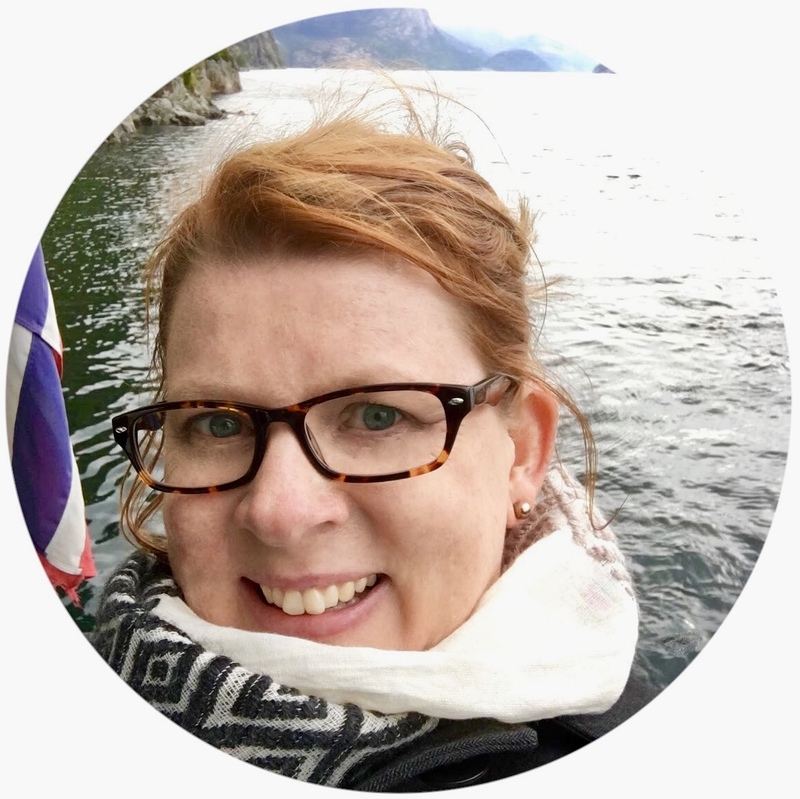 ‘We offer a unique style of luxury that’s genuine and down to earth,’’ Fiona says of the Hapuku Lodge attitude. ”The food reflects that approach, it is unprocessed and uncomplicated with a focus on the amazing ingredients we have at our door. A lot of our guests that book to stay one night tell us they wish they could stay longer. If you like the idea of staying in one of New Zealand’s celebrated lodges – intimate properties that offer luxurious interiors, a remarkable location, superb food and wine, and bespoke activities – here are more destinations to whet your appetite. The Marlborough Sounds – at the top of South Island, and a ferry ride across the Cook Strait from Wellington – accounts for 20 per cent of New Zealand’s coastline with Bay of Many Coves hidden in Queen Charlotte Sound. The contemporary resort sits beyond the reach of the roads, with a water taxi from nearby Picton the easiest way to reach this isolated address. The compound was designed so the 11 apartments and assorted eateries are nestled into the hillside bush with each one, two and three-bedroom suite framing the marine vista. 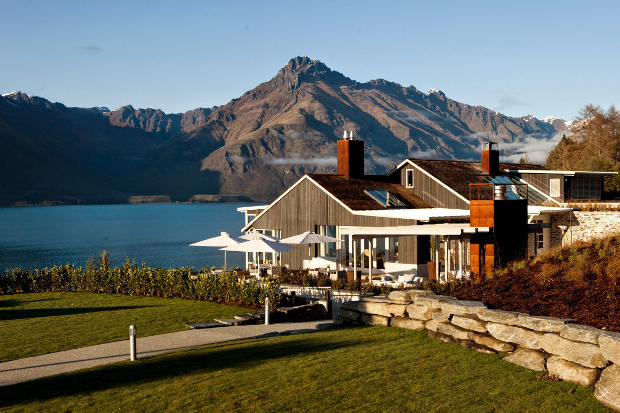 This South Island retreat, which is a seven-minute drive from the year-round delights of Christchurch, is perched on the edge of Lake Wakatipu to offer rural serenity and a panoramic view across the water to The Remarkables. 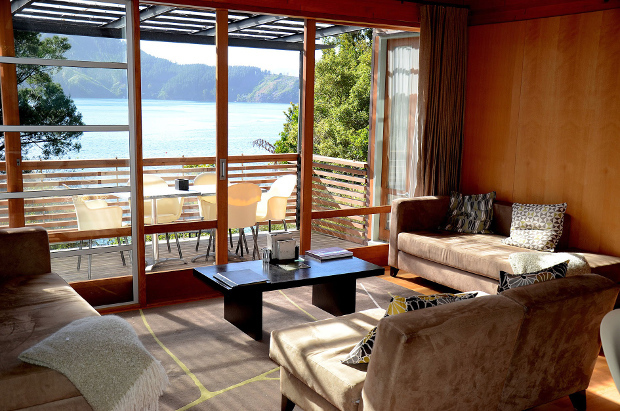 Matakauri Lodge has 12 guest rooms – with eight in satellite structures and four in the main lodge building – as well as a brand new Owner’s Cottage, which is a private four-bedroom hideaway. Guests can swim in the infinity pool and dine alfresco when the weather’s warm in New Zealand’s favourite ski destination. 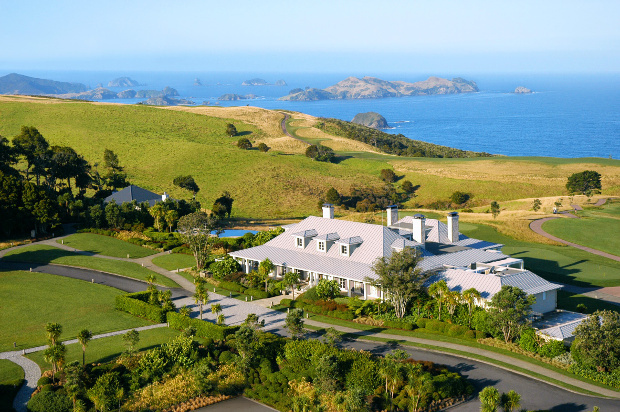 An agreeable country-style ambience welcomes guests to this North Island estate with The Farm at Cape Kidnappers, which rest on a 2,400 hectares of sheep and cattle farm above the Pacific Ocean at Hawke’s Bay, offering 22 suites and a tranquil four-bedroom cottage. The 12 lodge rooms and 10 hilltop suites are clustered around hotel buildings designed to look like a working farm with the windows presenting 180-degree views across the paddocks and golf course to the deep blue beyond. Hamptons house meets Caribbean plantation describes this stylish hideaway a stone’s throw from the Bay of Many Islands, in the north-east corner of New Zealand’s North Island. The lounges and dining areas are arranged to peep across the paddocks and golf course to the islands in the Cavalli Passage. 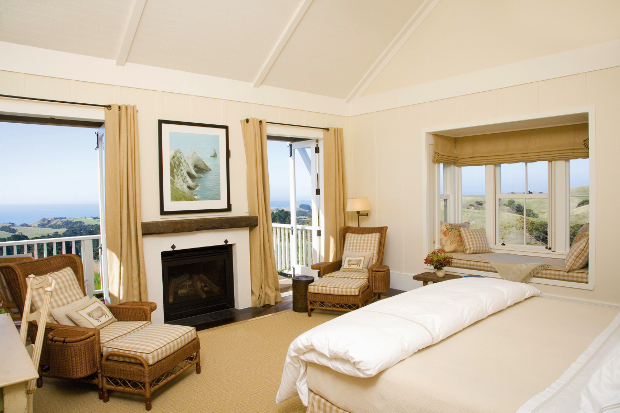 Kauri Cliffs Lodge boasts 22 guest rooms and a two-bedroom cottage, which also enjoy this uninterrupted outlook. 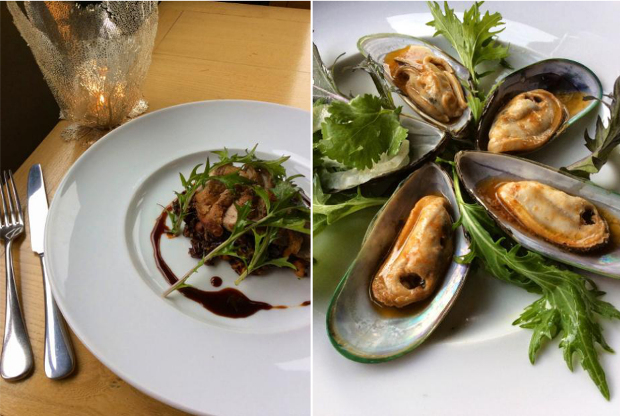 And chef Barry Frith’s menu changes daily to make the most of the seasonal ingredients available in the area.